This NEMA 6-15P cooling fan power cord is a three-wire grounding device for 230v circuits. 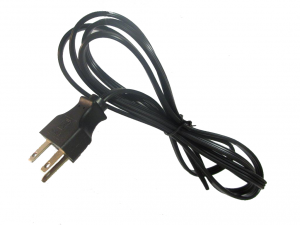 This durable cord supplies power to your cabinet cooling fan. Having a properly powered cabinet cooling fan is essential to prevent internal appliances and electronics from overheating. Purchase in bulk to receive an exclusive GardTec discount! For a fan filter assembly, cooling fan and power cord in one, browse our high-quality cabinet cooling fan kits.